Many people want to come to the United States to work, but not everyone can. Foreign nationals must have employment authorization before accepting work in the United States. In fact, both employees and employers may be subject to fines or imprisonment for illegal employment arrangements. An employment-related visa which allows you to work for a particular employer. When hiring a new employee, all U.S. employers must request proof of the employee’s right to work in the United States. Foreign nationals, such as those who have been admitted as permanent residents, granted asylum or refugee status, or admitted with work-related nonimmigrant visas, may have employment authorization as a direct result of their immigration status. Other foreign nationals may need to apply individually for employment authorization. In the United States, a work permit is formally known as an employment authorization document (EAD). U.S. 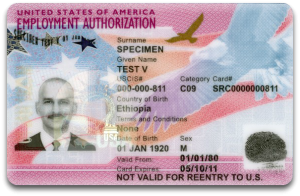 Citizenship and Immigration Services (USCIS) issues this photo identity document to certain foreign nationals who are authorized to work in the United States under the terms of their visa. Typically work permits are valid for one year. However, they may be valid longer for some categories. To apply for a U.S. work permit, eligible applicants must file Form I-765, Application for Employment Authorization, with USCIS. Each eligibility category above may have separate requirements for supporting documentation. Proof of eligibility is a critical component of the supporting documents. You may download Form I-765, as well as instructions for preparing and submitting the application, directly from USCIS.gov. Applicants that want additional reassurance that they’re doing everything correctly can use CitizenPath to prepare an I-765 application. Immigration attorneys designed CitizenPath’s low-cost software to make the process easier and help eliminate common mistakes that create delays and rejections. On the other hand, applicants that are applying for a work permit at the same time as the qualifying immigration status, won’t need to submit evidence. Instead, the I-765 gets submitted with the primary application. 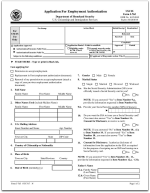 For example, adjustment of status applicants will submit Form I-765 with Form I-485, Application to Adjust Status. TPS applicants will submit the I-765 along with Form I-821, Application for Temporary Protected Status. Applicants that prepare Form I-765 through CitizenPath’s service also receive personalized filing instructions. The filing instructions will be based on your specific situation and will explain exactly what documents to send with Form I-765. CitizenPath provides simple, affordable, step-by-step guidance through USCIS immigration applications. Individuals, attorneys and non-profits use the service on desktop or mobile device to prepare immigration forms accurately, avoiding costly delays. CitizenPath allows users to try the service for free and provides a 100% money-back guarantee that USCIS will accept the application or petition. We provide support for the Work Permit Application (Form I-765), Green Card Renewal (Form I-90), and several other USCIS forms. 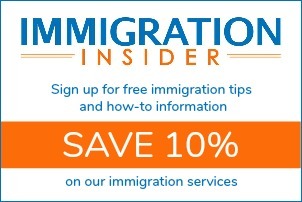 Want more immigration tips and how-to information for your family? © Copyright 2013-2019, CitizenPath, LLC. All rights reserved.